I currently have an over abundance of Kenyan Tree corals in my tank that I am willing to give away or trade to anyone who is interested. Their current going rate is *FREE*. All I ask is for you to pay for the shipping and handling charges, otherwise this great little softie is yours for the taking. If you live local to the Silicon Valley / Bay Area, and you are willing to pick them up, then there is no charge at all!!!!.. PM or post a note if you are interested, and I will get back to you!! Rock is dead... Long live paper and scissors!! How much for shipping to 33565? How much will I get? Shipping to 28079? So far, it looks like shipping these guys 2 day will run about $30 (25 for shipping and about 5-ish for packaging). This is from West coast to East coast. Anything between CA and the East coast may be a bit cheaper, but probably not by much. Shipping 2 day through USPS is called priority and is only 7.70 for a flat rate box or 3.85 for a smaller box. Hmm... haven't looked into that. Let me check it out and get back with a price. After some ideas that have been passed to me, I will look into the USPS priority shipping as it appears to be rather inexpensive and still take roughly 2 days. This will lower the cost quite a bit, possibly to somewhere around the $15 area. I also need to quickly look into shipping material as I do not have small styro boxes in my possession at this time. Hopefully I will be able to perform all of this tomorrow, but my work schedule has been rather hectic lately which is why I haven't been able to nail down a price. But for those of you still interested, the size of each frag can vary from 1/2 inch to about 2 inches tall. The bulk majority are attached to loose substrate, so they probably will not be comming with a piece of LR. They readily attach to whatever they are placed on, but a little super glue also won't hurt if you have some current running through the area you want them in. I thank you all for your patience in me getting back with a price, but work gets in the way of having fun... Damn job..
How much shipped to 63138? Thanks, please PM me te price if possible. This weekend, I will look into the box for shipping and get a total price so I can let you all know!! Let me know about shipping to 11206. Thanks. Flat rate boxes which can hold up to 6 bags of coral are $7.70 tyo ship priority and boxes are free. Very cool... I wasn't sure of the size of the box they give out, so I hadn't listed that as an option. Chances are, that will be the end result if that is the case. I just need to get to the Post Office to pick them up and put it all together. Here's your boxes! No need to go to the post office. Just click "Order Now" on the size you want and the postman will deliver them to your house for free! Well now isn't that convenient? It take about a week or two though. Ok, here it is... I have sets of Kenyans that I can ship out at this time. The total for everything will be $8. They will be shipped via Priority Mail via USPS, and arrive in 2-3 days. These little critters are extremely durable and should easily arrive safely in that timeframe. I will PM the first 10 responses that I have already received and inquire if they are capable of sending the $8 via PayPal as I will be leaving for vacation on the 9th of July and will be gone for a week. If the payment can be made before the 8th, I can ship them before I leave, otherwise if the payment cannot be made, I will have to follow-up once I return on the 17th. 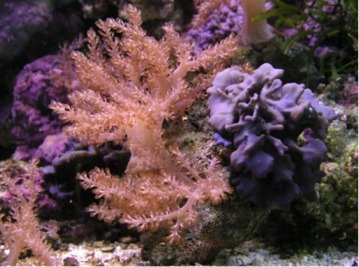 As for the frags themselves, their sizes will vary, and they will be attached to loose substrate (whatever they fell on and attached themselves to). They will NOT be attached to any LR, only substrate. Once the 10 are shipped, I will find out how many are left and then let everyone know. BTW, JxMetal and FishFreak... Thanks for pointing me towards the USPS option. That is going to work out perfectly for this. You got my money already! hey im interested in anything you are giving away I live in tucson,AZ 85715 if you could please give me some info on what you have that would be great thanks. put me next in line. Zip is 70124. Please PM me back!